Dear customers and others who support us, we request your understanding and kindness as we announce we are closing Sit By Me Bakery in Branson. We need to step back from small business life for awhile, effective immediately. We had hoped to ramp down the bakery over the next few months. Unfortunately we need to make an abrupt stop. Existing orders will be fulfilled, however Sit By Me Bakery will no longer be open to retail or special orders. Our hearts are filled with gratitude for our meaningful Branson experience. By operating in a midwestern destination city, we’ve been able to bake for thousands upon thousands visitors during our short time here, and our locals have provided consistent support, many becoming our friends! All of our customers have gifted us with joy, and a profound sense of honor. Feeding people with Celiac Disease, food allergies, intolerances, and EoE is a vulnerable profession, and our customers remind us why we chose this meaningful work. Though we’re closing our downtown Branson location, we are still dedicated to our vision of inclusion, and we intend to return to baking in the future. We’re uncertain what our upcoming journey will look like, though we are moving to Denver in a few months for an opportunity that will allow us to focus on our family’s needs. Thank you for understanding our unique small business path over these past four months, Branson! 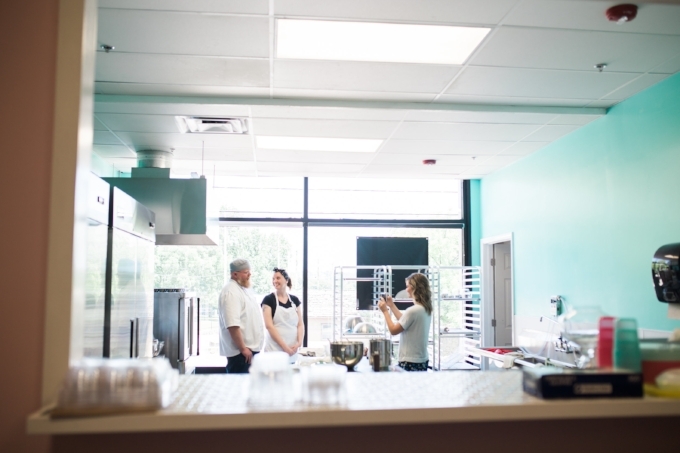 We built a bakery for you, and we’ve done our best to serve this community to the utmost of our abilities. It's been our pleasure connecting with you! We care about you, and we’ll miss you. We remain dedicated to raising food allergy awareness and sharing our highest values. Connection is everything. Inclusion is love. We’ll continue sharing on our channels. Please, let's stay in touch!